I served it up with a scoop of homemade ice cream. 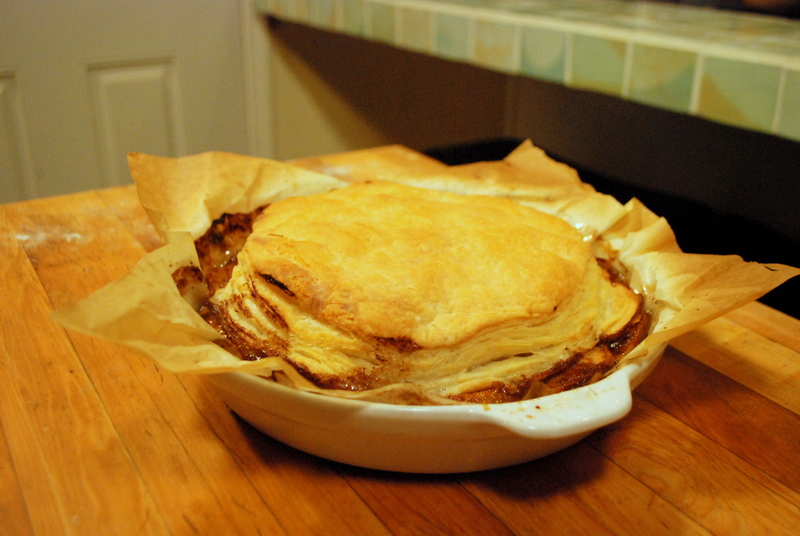 In my humble opinion, any type of pie, especially apple, requires a scoop of ice cream or dollop of whipped cream. 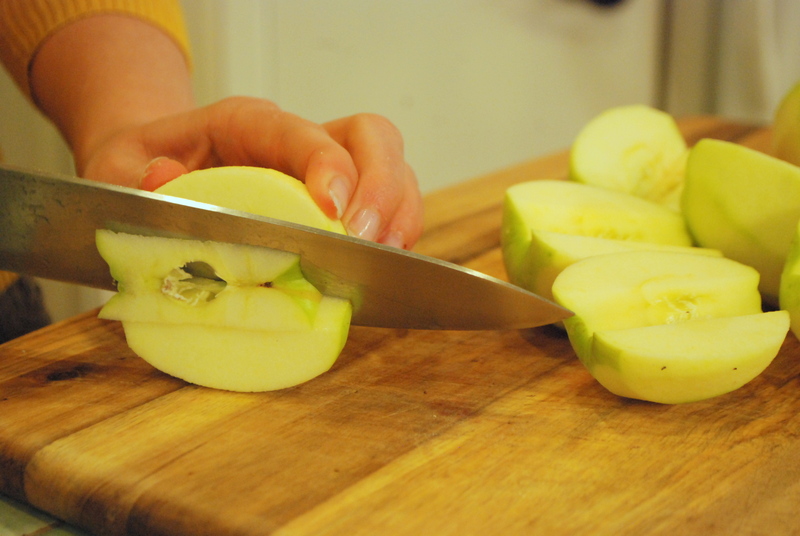 You can use a vegetable peeler or paring knife to peel the apples. 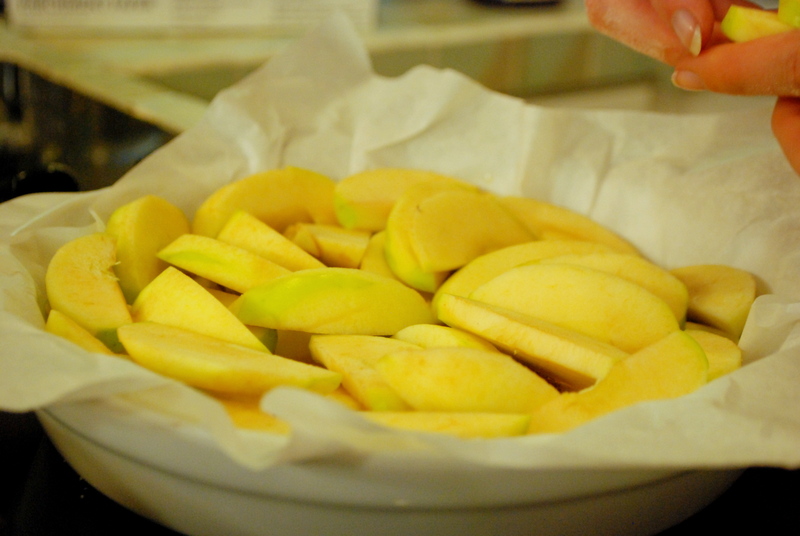 If your apples will be sitting out for longer than 20 minutes, squeeze some lemon juice on them to prevent oxidation. Slice apples any size you would like, just be sure they are of uniform size. Melt your cup of brown sugar over medium-low heat, stirring to prevent burnt spots, but not stirring too much. If you stir too much, your sugar may seize up and not melt as easily. 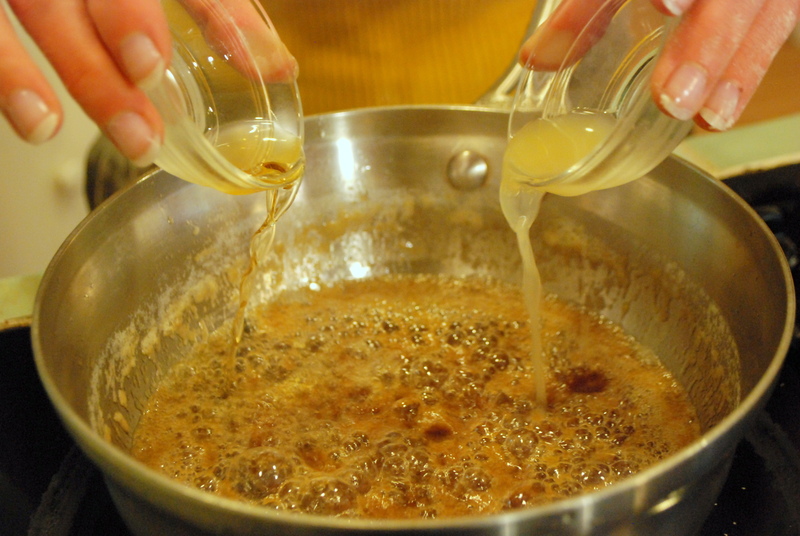 When your sugar is a medium-dark brown, add the stick of butter, half a vanilla bean and cinnamon, then the liqueur and juice that you have chosen. Immediately pour into your shallow pan or pie pan. I like to place a piece of parchment paper in the pan first, to ensure easy extraction. 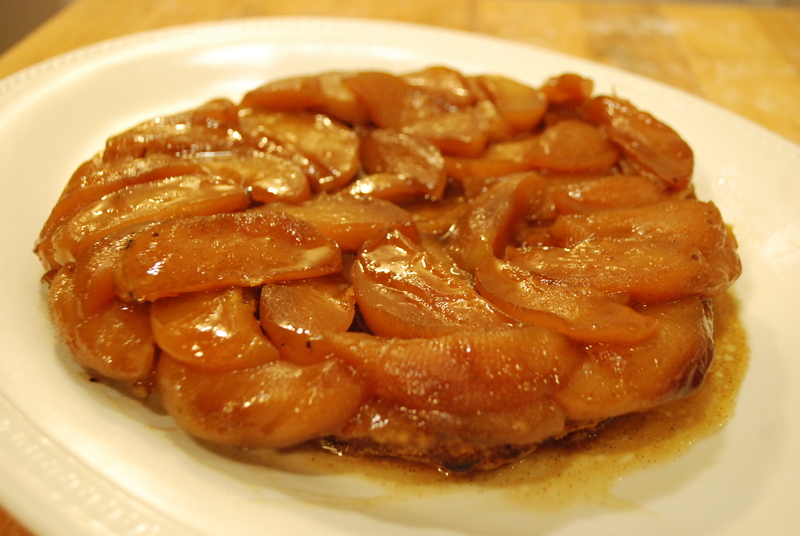 Layer slices of apple atop the buttery caramel in any pattern you would like. Then place into a 400 degree oven for 10 minutes. While your caramel apple combination is baking roll out your store bought or homemade puff pastry to a thickness of approximately 1/4 cm. 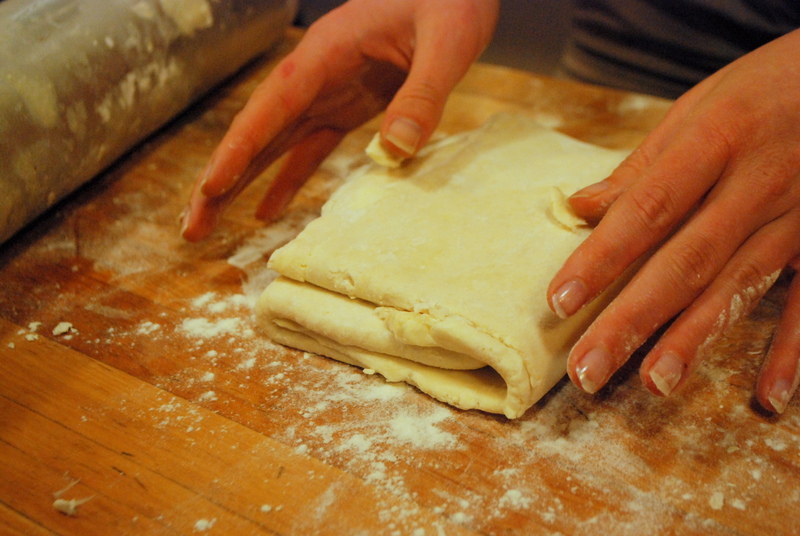 I much prefer homemade puff pastry, because most options in the grocery store are made with shortening rather than butter. And butter is always better. Cut to a size just a bit larger than the pan you are using. Place your round of puff pastry on the apples, and place back in the 400 degree oven to bake for another 30 minutes, or until the top is a nice golden brown. After removing from the oven, allow to cool until it is just warm, rather than hot. 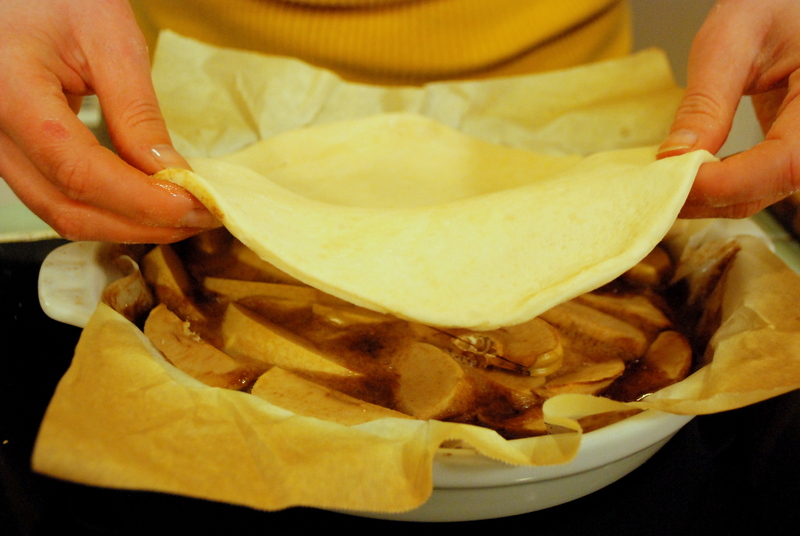 To flip, place a serving platter on top and do a quick flip to extract your caramel apple pastry delicacy. could you make this with other fruits? Yeah! 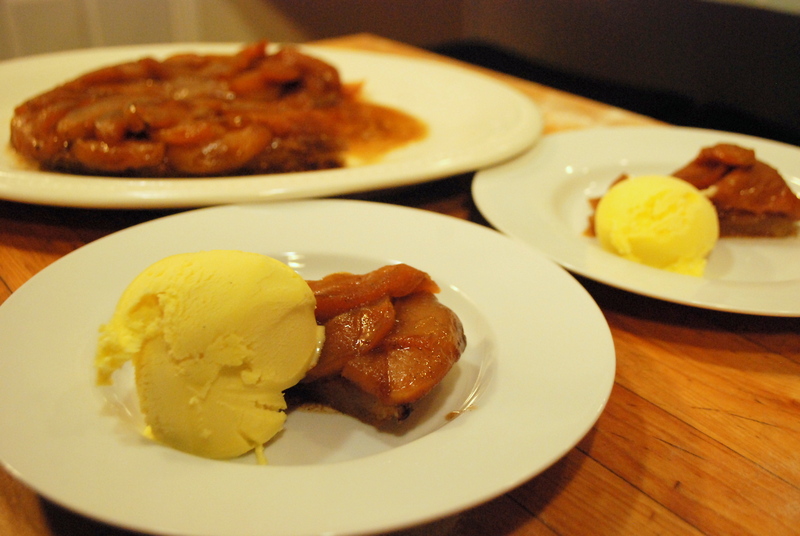 It would be wonderful cooked with pears, apricots, or plums.